A project supporting Burdekin cane growers to reduce fertiliser use without affecting yield has so far prevented 116 tonnes of dissolved inorganic nitrogen (DIN) from entering waterways and impacting the Great Barrier Reef. A high level of DIN in water has been linked to outbreaks of crown of thorns starfish on the Reef, and also provides ideal conditions for weeds to thrive in rivers and wetlands, which reduces habitat for native fish and migratory birds. The reduction in fertiliser rates was achieved by 16 local growers who signed up to the pilot round of the Burdekin Tender project. The three-year project is funded by the Australian Government’s $225 million Reef Trust. Under the project, growers proposed trialling ways to reduce fertiliser use – and put a price on the cost of making the change. Trials included matching fertiliser inputs to crop requirements and using technology to only apply fertiliser precisely where it is needed. The results from years one and two of the project were showcased at an event held at a cane property in Clare last week, attended by more than 30 local growers. “They still have another six months to go so we will see even better results by the end”, Mr Malan said. 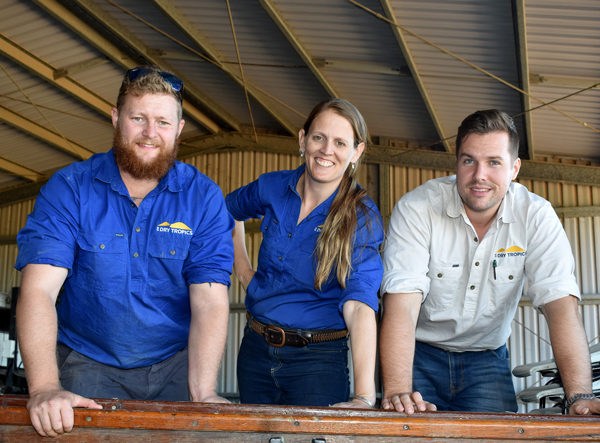 “We now have an additional 25 Burdekin growers signed up to the project across a further two tender rounds that have been running since the pilot round launched in 2016. “NQ Dry Tropics has worked closely with growers to develop tender applications and nutrient management plans. Extension partners Farmacist and Burdekin Productivity Services provide support to deliver and monitor the projects”, he said. 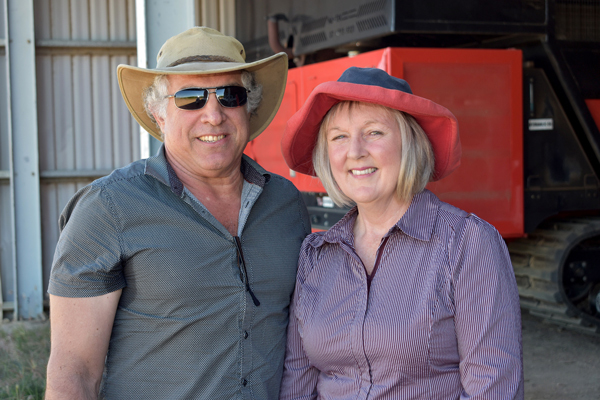 Ayr growers Glen and Rhonda Pirrone signed up to the project last year and said they are excited by what they could achieve. “I think having productive business and reducing nitrogen runoff to the Reef can go hand in hand”, Ms Pirrone said. “As growers we all have hesitations about trialling something new, but at the meeting today it was unanimous that everyone had reduced nitrogen use without causing a crop yield deficit. “Farmacist has taken soil samples from our farm and is helping us get a baseline and determine how much fertiliser our soil actually needs, rather than farming the same way we always have. It’s applying the science behind farming – you can never learn too much. “We believe in the ethos behind the project. We all want to see the Reef in better shape than it is currently, just as we want to leave our farm in better shape than we inherited it in”, she said. For information about the Reef Trust Tender – Burdekin project click here or phone 07 4799 3500.